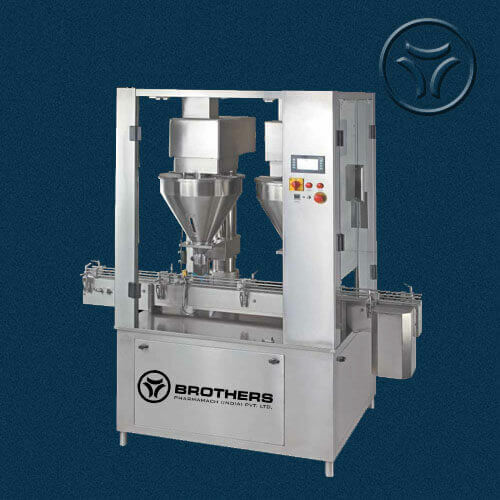 Semi Automatic Single Head Vacuumetric Type Powder Filling Machine Model DRYFILL-20, is suitable for Filling Free Flow Powders in various type and shape of bottles with speed of 15-20 Bottles per minute depending on Fill Volume, type of Powder and Bottle Size. 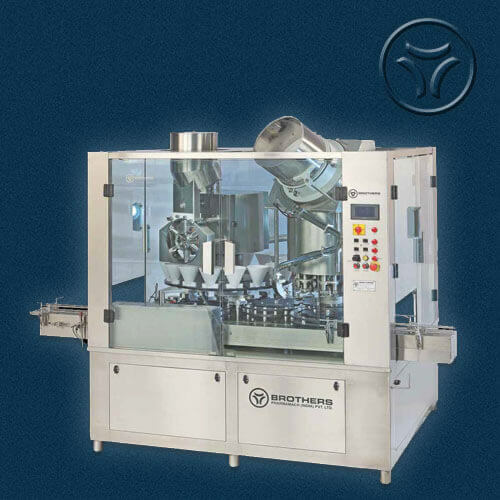 The Machine works on proven time tested Vacuum and Air Systems to Fill powder in Bottle using Powder Wheel System having Piston for Volume Adjustment. 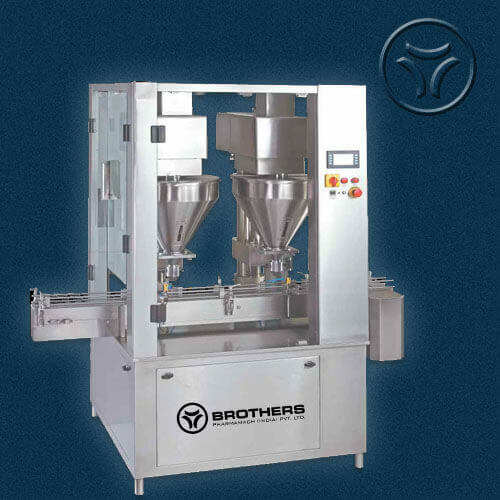 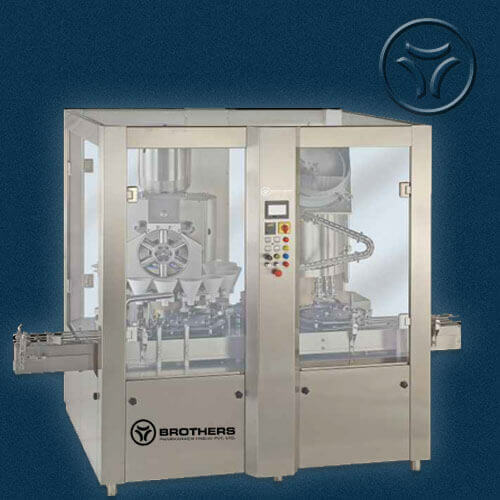 Machines with unique vibratory system inside the funnel for easy flow of powder in Bottle. 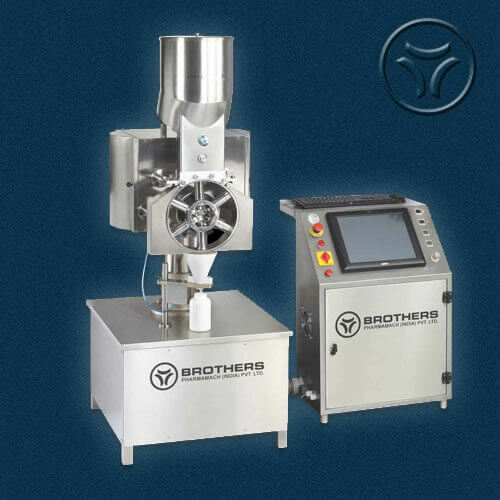 All Parts coming in contact with powder are made from S.S.316 , Nylon and HDPE Material. 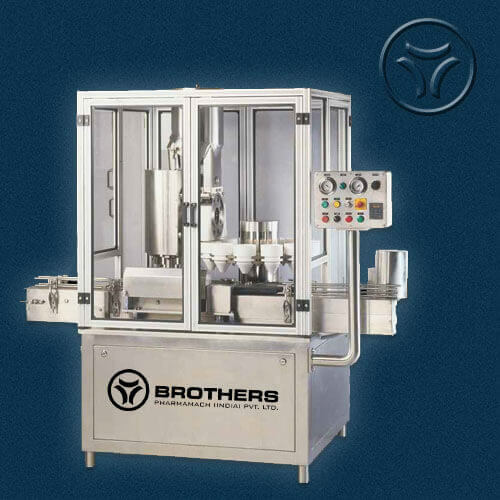 Bottle handling is manually to be done by operator only. 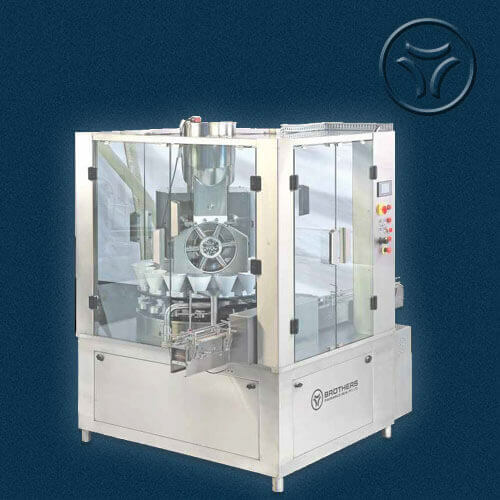 Note:Machine shown with Control Panel having PC Based 21CFR System which is Optional available at an Extra Cost. 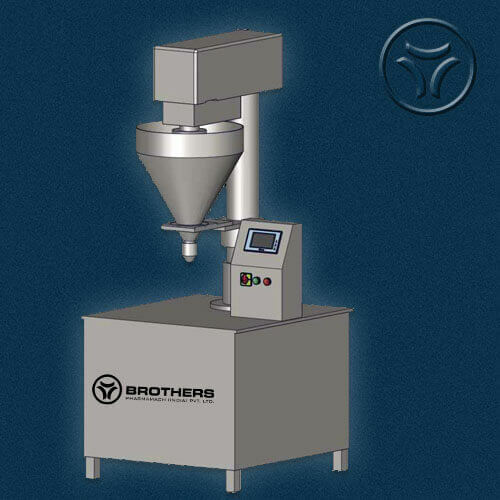 - Heavy Duty Mounting system for Filling Head for Trouble Free long term operations.